C & P Represents was formed in 2016 and represents actors for television, film and commercials nationally and internationally. We are a boutique agency and we keep our client numbers small to provide the best service to our clients. The team behind C & P Represents come from a background of professional acting work and award winning film making and have over 15 years of experience working within the industry. Our clients have fantastic support from the office in preparing them for auditions and giving them the best chance to book the job. 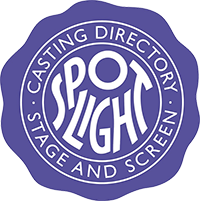 We work with the biggest casting directors in the country to ensure our clients are seen for roles across all the genres of television, film and commercials. Our clients are based all over the UK, including London, Manchester, Edinburgh, Bristol, Devon and Cornwall. Images on the C&P Represents website are a handful of the productions that our clients have auditioned for or have successfully been cast on.